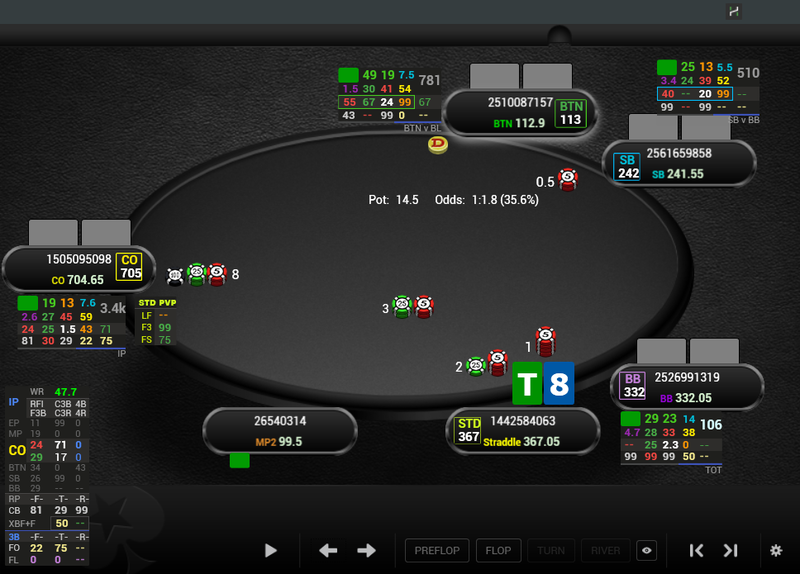 *The Info panel is displayed preflop in one-on-one situations. * Unknown players – displayed up to 100hands. 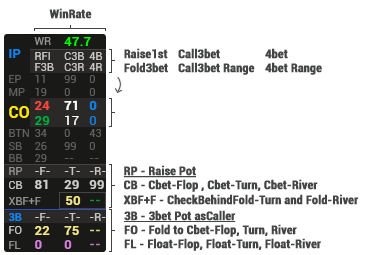 Total stat preflop and postflop stats for all situations. * Little-known players – displayed from 100 to 500hands. * Regular players – displayed from 500hands. *The panel can be placed on the side of the table.